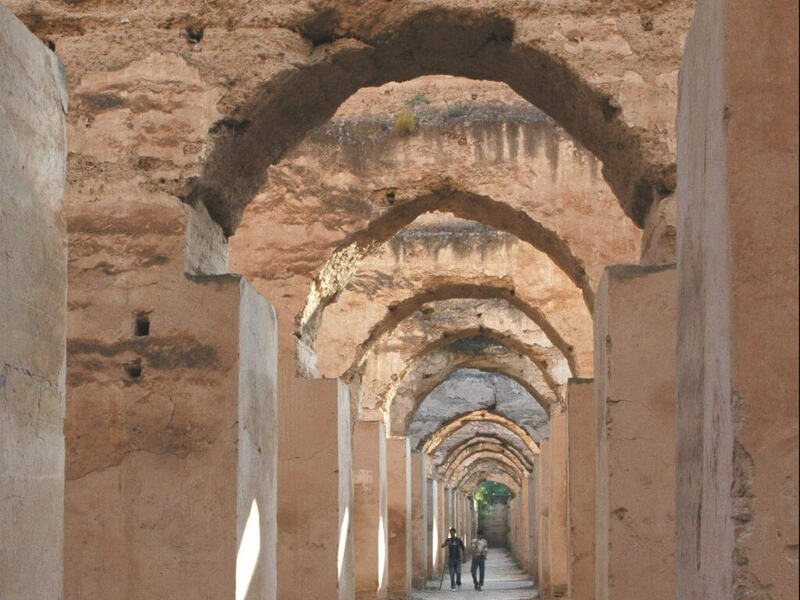 Is Meknes a stop on your itinerary? Located in Northern Morocco, Meknes is only sixty kilometers from Fes and was the capital of Morocco until 1727. 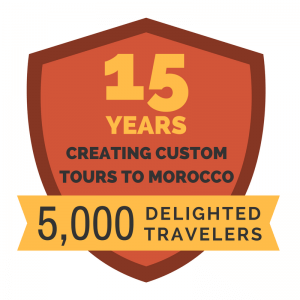 Situated close to the Atlas Mountains, this beautiful city is now a UNESCO World Heritage Site filled with things to do and explore and ideal for a day visit when traveling to Morocco. Now a museum, this building was built originally to be a home to the Jamai family in 1822. It was even used as a military hospital during 1912. The museum now has many objects and artifacts for visitors to see. You’ll enjoy the beautiful simple garden and impressive architecture. You will be able to see jewelry, cooking utensils, old books and other arts and crafts from the time of Sultan Moulay Ismail, who ruled from 1792 to 1822. The roman ruins of Volubilis are under an hour’s drive from Meknes. They are some of the largest roman ruins in Africa. This settlement dates back to about the 3rd century B.C. 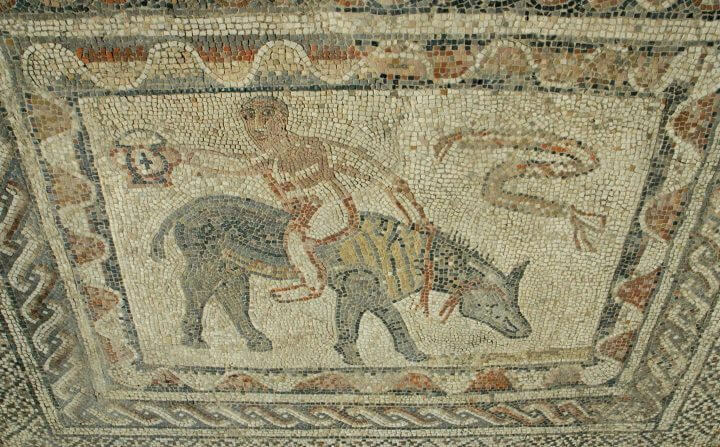 Enjoy looking at the preserved mosaics, and the stunning Decumanus Maximus. Your guide will give you information about the way that the Romans used to live, helping you to imagine the city as it once was. Moulay Ismail is the ruler who made Meknes the capital of Morocco during his rule from 1672 to 1727. The mausoleum was built while he was still alive, in order to ensure its splendor. 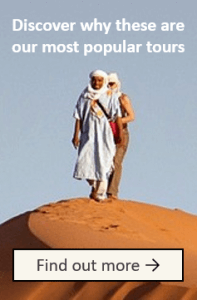 It is a short walk from the medina – ask any of the locals, and they will direct you there with ease. The courtyard is painted a bright, striking yellow. Visitors are allowed to take photographs in the tomb hall but if you are non-Muslim you are not permitted to approach the tomb itself. Take off your shoes as a mark of respect. You’ll be amazed by the intricate tile work and colored carvings! This elaborate gate was one of the late projects of Sultan Moulay Ismail. He had Mansour Laalej build this gate as a tribute to his power and rule. It was completed in 1732, after the sultan’s death, under his son’s instructions. Stop and marvel at the detailed patterns that are carved and tiled in green and white. It is a truly impressive work of architecture. You will find this Islamic learning center close to the great mosque in the Medina. The building dates back to the medieval times and offers spectacular Islamic architecture, making it well worth the visit. 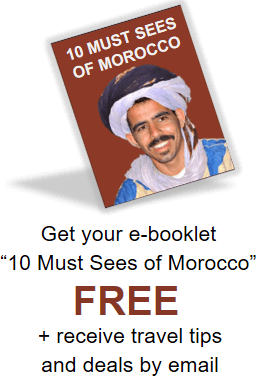 If you are interested in history, you may enjoy touring the underground prison where Sultan Moulay Ismail kept prisoners. The prison was located right underneath a glorious pavilion where ambassadors from other countries were received. Around 60,000 slaves were kept here at some point, used to work on the architectural projects that the sultan commissioned. Though the medina of Marrakech isn’t as big or impressive as Fes or Marrakech, it is still full of interesting sights and is enjoyable to wander through. Look at different stalls selling everything from snacks to clothes. 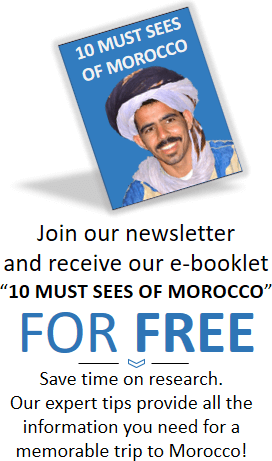 Let us know if you have any other questions about visiting Meknes! We would be happy to add it to your itinerary.